New York - Conor McGregor turned himself in to US police on Thursday night following an incident where he allegedly attacked a shuttle bus loaded with fellow mixed martial arts fighters who were attending a New York media event. The 29-year-old McGregor surrendered to the 78th Precinct station but there was no immediate indication whether charges had been filed, the New York Post reported. The newspaper said McGregor was being questioned and would eventually be charged with criminal mischief and reckless endangerment. 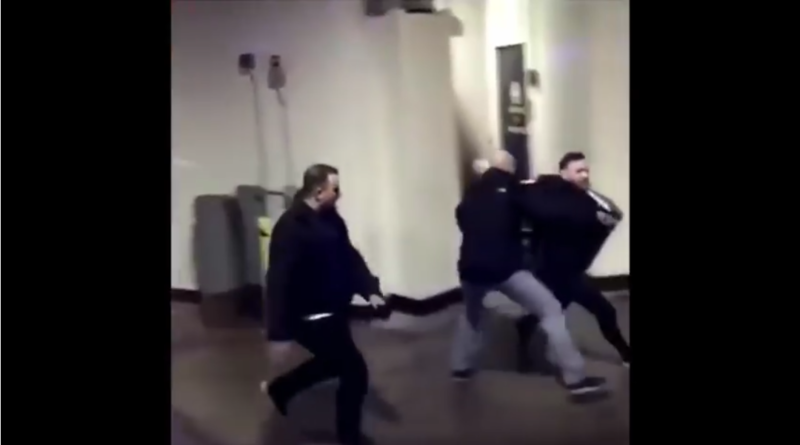 Video of the earlier incident (WATCH in the tweets below) clearly showed McGregor hurling a dolly through a side window of the bus as it moved slowly in a car park at the Barclays Centre in New York. UFC President Dana White said fighter Michael Chiesa, who was on the bus, had been hospitalised following the incident and was being treated for cuts to the face. Police had issued a warrant for the arrest of McGregor, White added, accusing the Irish superstar and a group of around 20 men of "storming the building." "They got down to the loading docks where the fighters were getting on the buses and attacked them, throwing trash cans, dollies, things like that," White said. "Broke one of the windows, cut Michael Chiesa real bad, cut his hand, cut his face. "Everyone's shaken up. This is the most disgusting thing that has ever happened in the history of the company. "There is a warrant out for Conor McGregor's arrest. They're looking for him right now. His plane cannot take off, he can't leave the state of New York." White predicted McGregor, who reportedly pocketed around $100 million for his superfight against boxer Floyd Mayweather last August, would likely face legal action over the incident. "As you can imagine he's going to be sued beyond belief," White said. "This was a real bad career move for him." It was not clear what triggered McGregor's assault but it appeared to be linked in part to the UFC's decision to strip him of his world title. McGregor reportedly turned up unannounced at the end of Thursday's press event to publicise the upcoming UFC 223 card. On Wednesday, White said the UFC would strip McGregor of his lightweight title, which would be awarded to the winner of Saturday's fight between Khabib Nurmagomedov and Max Holloway in New York. McGregor reacted angrily to the decision on social media. "You's'll strip me of nothing ..." McGregor ranted.